A few weeks ago, I received a gracious comment from Austrian photographer Reiner Riedler on my recent post about his photographs of motion-picture print reels. I was disappointed that I had been unable to contact him directly for an interview because interviewing artists for these essays has been one of the payoffs of the writing. It has been an ongoing adventure, this exploring of the work of artists in many disciplines: known masters, emerging ones, those still mostly unknown, maverick and mainstream. The blog is an ongoing personal fulfillment that I did not anticipate when I first posted on this site five years ago, on Sept. 14, 2009. Nor did I imagine that I would write nearly 200 essays over the next five years. I began with a nod to Orson Welles’ oratorical scene in Citizen Kane: with my own “Statement of Principles,” a declaration of what I wanted to write about in this space. Two days later, my first essay appeared about the Swedish comedic director Roy Andersson and his film Songs from the Second Floor. (Read "The Swedish Comedian — An Oxymoron?") Even better than doing an email interview, I met Andersson a short time later at a major retrospective of his films at MoMA. Andersson is only one of the dozens of filmmakers, artists and writers I’ve been privileged to write about or speak with these past five years. Seven have been cinematographers. Early on, in that first December, I wrote a four-part foray into the photographs and films of Karl Struss; Charles Rosher and Struss shared the first Oscar for cinematography for Murnau’s poetic masterpiece Sunrise. I met the tall, distinguished Struss at an exhibition of his work at LACMA in 1976. Here is "Karl Struss: A Tripod in Two Worlds." Other cinematographers I've profiled have included Jack Cardiff (on the release of Craig McCall’s feature documentary about Cardiff’s work, Cameraman) and John Alton (on the new edition of his book Painting with Light). Here is "Jack Cardiff's Magic Life." 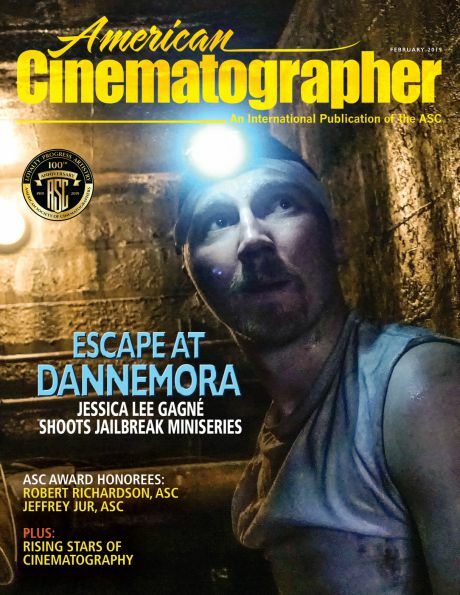 Here is "John Alton: Cinematography's Outlier." If you think you know Alton’s work, wait until you see this television swansong in color of the great master of B/W film noir. 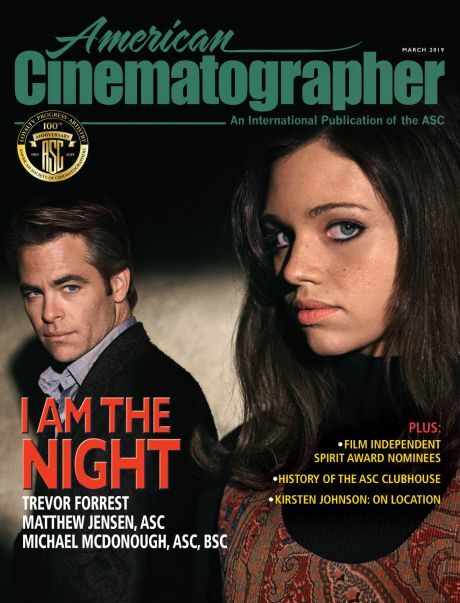 I’ve also written about the LACMA tribute to Gabriel Figueroa, about a photography exhibit by Owen Roizman, and the granting of the ASC International Award to Robby Müller. I was in Atlanta photographing a film starring Robert Redford when Gordon Willis died in his Cape Cod home on May 18 this year. Willis had photographed Redford and Pakula's film All the President’s Men, one of the six movies Willis made with Alan Pakula. When Pakula died in a freakish car accident in 1998, Willis hung up his light meter. I immediately wrote a tribute to “Gordy,” the most influential cinematographer for the American “film-school brats.” Since then, Gordy has been honored with a major retrospective of his work at the American Cinematheque, and by a daylong tribute at the ASC Clubhouse, where his daughter, Susan, shared warm anecdotes about her dad. The October issue of AC Magazine remembers Gordy in an expansive cover story including material from his forthcoming monograph by the magazine's editor Steve Pizzello. There have been many tributes to deceased photographers, such as Tim Hetherington, Chris Hondros, Wily Ronis, and Garry Winogrand, and to living masters like Jim Nachtwey, Nick Brandt, Alexey Titarenko, Lena Herzog, Maureen Bisilliat, Raymond Cauchetier, Lyndsey Addario and Sergey Maximishin. There have also been historical tributes to pioneers, like Joseph Nicéphore Niépce. Here is "Joseph Nicéphore Niépce: The World's First Photograph." I’ve written about the world of classical music: Barenboim’s master classes on the Beethoven piano sonatas, and the centennials of John Cage and Elliot Carter. Here is "John Cage: A Juilliard Centennial." And here is "Happy Birthday, Mr. Carter: Centennial Plus One." I’ve also discussed the world of dance: Wim Wenders’ 3-D documentary on choreographer Pina Bausch, on the company Pilobolus, and on the Rite of Spring centennial. Here is "'The Rite of Spring' at 100." And scholar Matthias Stork’s three-part essay on Chaos Cinema: "Matthias Stork: Chaos Cinema/Classical Cinema." In January of 2011, I wrote a tribute on the demise of Kodachrome, little suspecting it was the harbinger of a far worse fate to befall Kodak and FILMmakers: "Kodachrome Fades Out, But the Afterglow Lingers." Paul Simon's song may bring a tear to your eye. There have been offbeat topics, such as Trisha Ziff's fate of lost Cartier-Bresson photos found decades later in a most unlikely place: "Trisha Ziff and The Mexican Suitcase." Also, the all too topical graphic art of Joe Sacco in Gaza and Palestine: "Eyeless in Gaza: Joe Sacco and Reportage Comics." And the not at all topical, zany world of Tex Avery: "The Unhinged Animator: 'Tex' Avery." Carl Jung’s Red Book revealed an unexamined but crucial aspect of his thought. Here is "The Red Book: A Psychic Odyssey." And the piece that followed it, about the inner life of Iris DeMent’s heartland songs, a blog that still evokes fond memories of when I first heard her perform at the Troubadour many years ago: "Higher Ground: Iris DeMent's Journey to Self." The past five years have been exhilarating for me, and it has been challenging to work up these twice-monthly essays while trying to manage an active career. The results have often fallen short of what I hoped to express because of time and my own limited writing abilities; there is also always the lurking demon of “disabled” videos I try to embed (though most have survived or received other YouTube reincarnations). What has always excited me about filmmaking, and why I decided to begin this blog, is the inclusive embrace of cinema in using all the other arts, not just “exploiting” them, but recording and preserving them. Because of cinema (including video), we now have glorious records of a detailed recreation of the original Rite of Spring (courtesy of the Joffrey Ballet), and the startling choreography of Pina Bausch. We have records of the kinetic sculptures of Jean Tinguely (a personal obsession) and the Cubi of David Smith. I’ve done pieces on so-called “ordinary” people, like Orval “Hoppy” Ray and the demise of the Oklahoma mining town of Picher: "Orval Ray, Last Man Standing in Toxic Town." Chat crusher in Picher, Okla.
I’ve also written about the emotional paintings and sculptures of my friend Pat Knop, and of her magical life with husband/actor/director Zalman King: "Patricia Knop: Dreams of Flying, in Clay and on Canvas." When Martha Winterhalter asked me to write this blog, I imagined I would write it at most for a year, with maybe a new posting every month. That I would one day be starting the sixth year was beyond my ken. 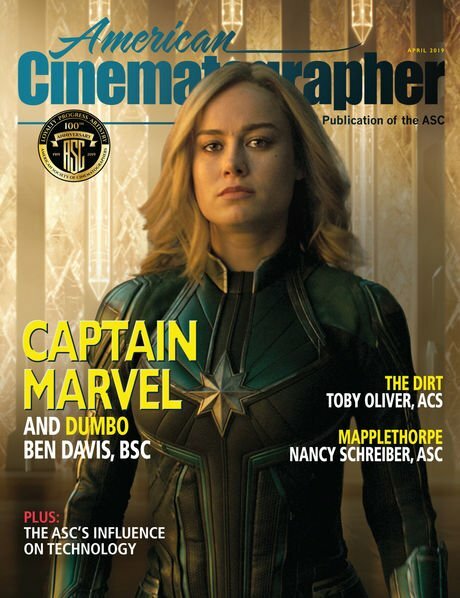 My one request to Martha was that I be free to write about anything in the arts, not just movies — especially not recent releases and certainly avoiding the latest digital video superhero “ultraviolent” gewgaws in and out of the multiplex at the speed of a download. It’s not easy for me to express just what this blog has meant to me; it’s much easier to focus on individual subjects from essay to essay, and let whatever my own connective tissue is, just seep out through the sentences. But I can say this: I have never written about a topic that didn’t absolutely fascinate me, sometimes even hold me in thrall, such as the kinetic sculptures of Theo Jansen, whose Strandbeests were the subject of a March 2012 post. About one minute into the first video, after a sweeping Steadicam intro, there is a cut to a dramatic low angle of the “Beest” moving along the strand, past the camera. I fully expected that Chris Fawcett's Segway steadicam would prompt comments; I am still perplexed that his amazing work elicited only a single comment. Take a look at it again: "The Strandbeests of Theo Jansen." Photographer Frank Hurley’s Antarctic adventure with Ernest Shackleton, half a world away during the years of World War I, remains the greatest survival epic ever undertaken. My post in March 2010, with a link to the still active documentary on YouTube, did generate a response from Hurley biographer Alasdair McGregor, who assured me that his book was, in fact, still in print, albeit only in Australia. And if you aren’t a subscriber, please consider becoming one. At the bottom of my blog is a “subscribe by email” link. You will receive an automatic notice every other Monday when a new piece is published. Most meaningful of all to me are your comments. Please share your thoughts on the essays you read. Many thanks to all of you who have followed these musings for five years. Very soon this blog will have to use the "captcha" spam filter (I've had 35-50 spams each day that somehow avoid current filters and I have to sift through them). Please, please don't let it deter you from posting comments--- or suggesting topics. NEXT: Mark Harris and "Five Came Back," Hollywood directors in WWII.